This is the Giorgio Armani Luminous Silk Foundation, an SPF-free medium coverage foundation with a natural matte & luminous finish. It’s oil-free, available in 21 shades and it’s suitable to all skin types. Giorgio Armani Luminous Silk is super lightweight with a silky texture; it has a similar consistency to the Giorgio Armani Maestro foundation (review HERE), but in my opinion Luminous Silk is easier to blend and adds a gorgeous glow to the skin. Pretty much the dream foundation, right? Even though Luminous Silk has a matte finish, it doesn’t feel like a mask on the skin; the foundation lets the skin breathe and after it’s blended it leaves a beautiful natural glow. It has the most beautiful naturally flawless finish and it made my skin look effortlessly perfected. Luminous Silk is a medium coverage foundation, but due to its weightless texture, you can apply a small amount and achieve a light coverage, or build it up in layers and you’ll get high coverage without losing the natural finish. On the photos, I have 1 layer on, and it was perfect for covering my pigmentation spots, minor imperfections and evening out my skin tone. For a special occasion or an evening look, I would add another layer, just to get a bit more coverage on my freckles. The Giorgio Armani Luminous Silk Foundation comes in a whopping 21 shades: 2 (Ivory), 3 (Pale Peach), 3.5, 4 (Light Sand), 4.25, 4.5 (Sand), 5 (Warm Beige), 5.25 (Creamy Natural), 5.5 (Natural Beige), 6 (Golden Beige), 6.25, 6.5 (Tawny), 7 (Tan), 7.5, 8 (Caramel), 8.5, 9 (Natural Suede), 10 (Warm Almond), 11.5 (Cacao), 13, 14. 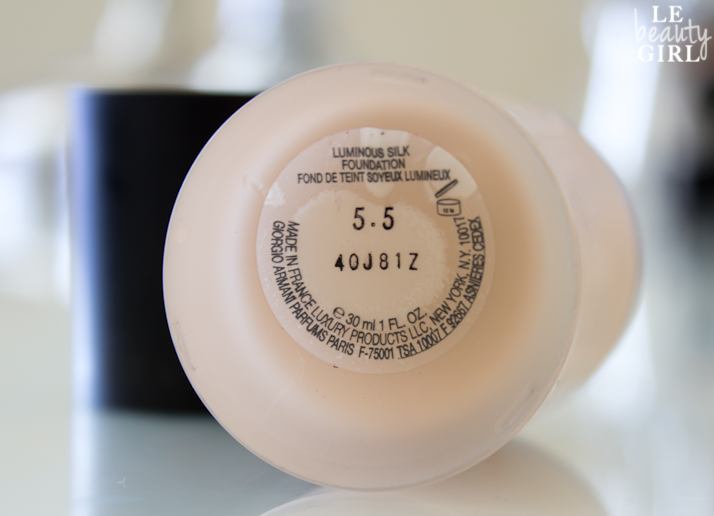 My shade is 5.5 (Natural Beige) and it’s a perfect match to my current skin tone. One of the biggest selling points of this foundation is the lack of SPF in its formula, which means you won’t get flashback from it. It’s perfect for special occasions where you will have your photo taken, such as Weddings and Red Carpet events. If you’re wearing it on a daily basis or exposing your face to a lot of sun, remember to apply a separate SPF to protect your skin from UV rays and sun damage. Do I need to spell it out? I L-O-V-E this foundation. 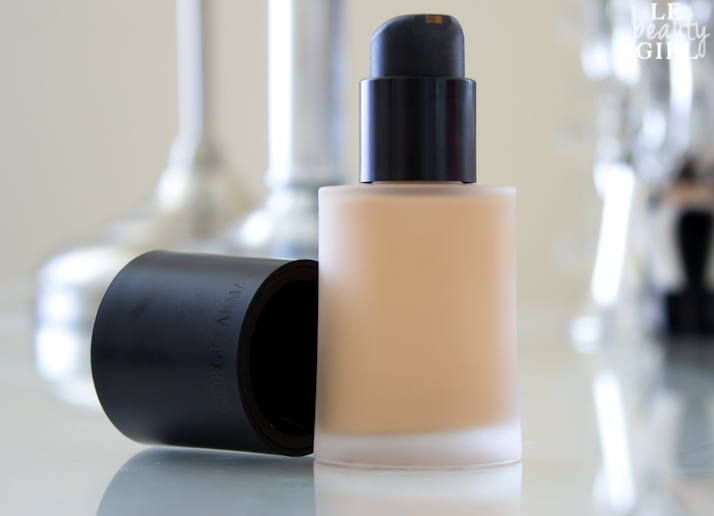 Giorgio Armani Luminous Silk is the best all-round foundation on the market, in my opinion. I’ve chosen it as my Wedding Day foundation, so that says a lot about a foundation. Apart from the hefty price tag, I really cannot fault it. It’s performed really well on my dry skin, but I’ve also read rave reviews of people who have combination and oily skins. Three words: GO GET IT! 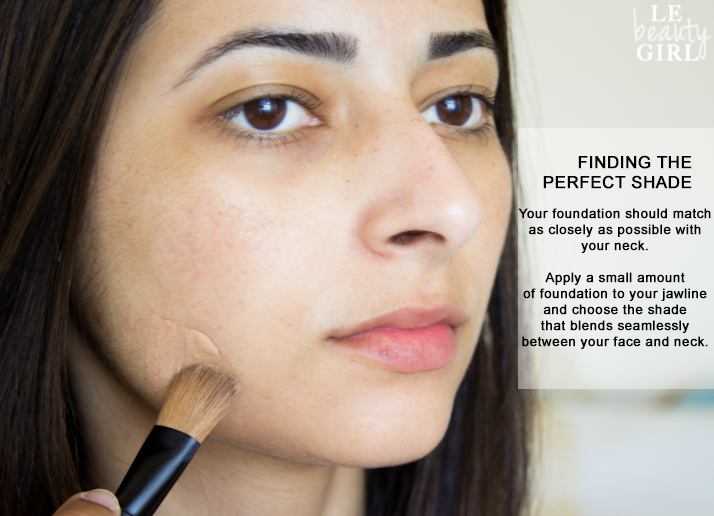 NOTE: The photos shown on this post have not been retouched to prove how good this foundation really is! It looks beautiful on your skin! I have this foundation as well, but its not my HG unfortunately. 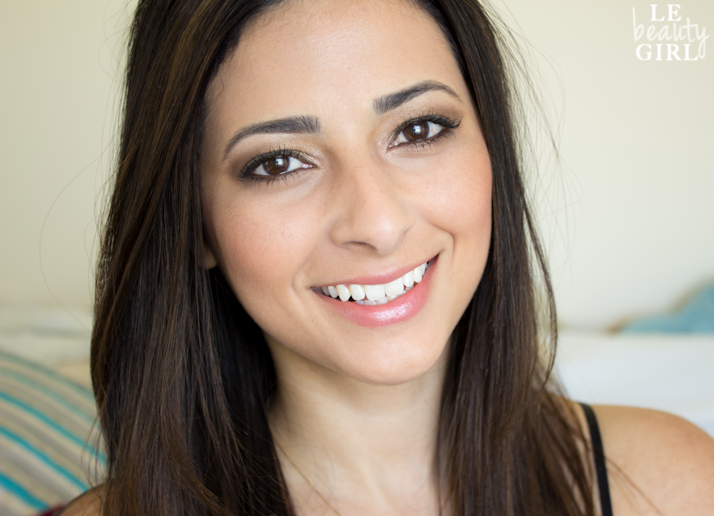 A Have you ever got your makeup airbrushed, I just purchased the Temptu system, and its my wedding day foundation! Silicon based so it sits on top of lines/pores for a flawless finish, and its great for skin because it doesn’t sink into pores :) Love your half/half face its a fantastic example! Thanks Rendee! I’ve never tried airbrush makeup, but I’ve been dying to try. I don’t know where I can buy here in the UK, as I’d like to try it before I buy it; I’ve heard it’s amazing, but quite pricey. You look gorgeous! Thanks for not retouching the photos– that’s super helpful! I’d love to try try Armani Maestro foundation next! wow, I´m really impressed with how flawless this foundation Looks with Flash photography. great post! This looks fabulous on you , really beautiful! 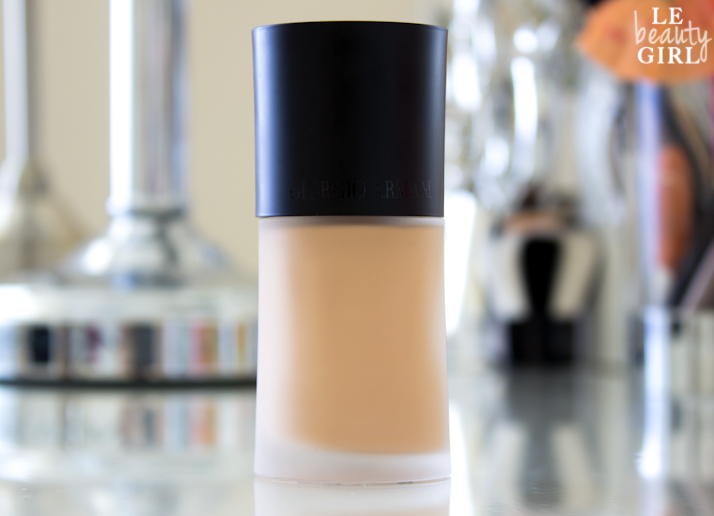 This is definitely one of my all time favourite foundations. Makes your skin flawless without being heavy! Looks beautiful on you! I hope to try this foundation some day!! Já fiquei querendo, rs! O bom é que minhas corres de base sempre batem com as suas, então compro meio que sem medo! Have you got the old packaging one? Beautifull pictures! I wear shade #140 as well in the loreal eau de teint foundation, but I’m a bit more yellow-olive toned. Do you think 6 is a better match for me, or should it work out? 5,5 look lovely on you, I definitly want to try it! Definitely on the top of my wish list atm! Just discovered your site after googling a review of this foundation. Though we are on opposite spectrums of color shade choice, your excellent review has made my mind to give it a try. 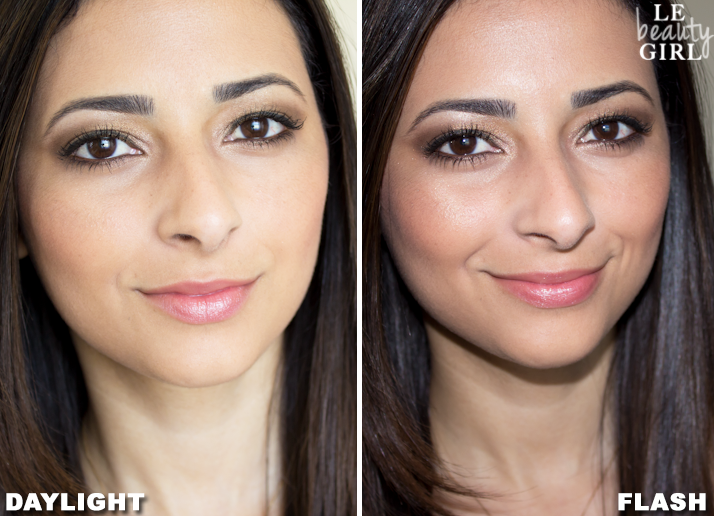 I want a light foundation as I don’t need much coverage and like a weightless feel. Thank you for such great info and detailed points about the foundation. Looking forward to reading past and future posts as a new follower! I’m the same shade as you. Love your review!!! You are spot on. Tried samples last night. Ordering the full size now. How can you get a sample of this I’ve searched everywhere on the internet as I cannot get to a shop , an which is the best shade for a medium yellow olive skin tone ? 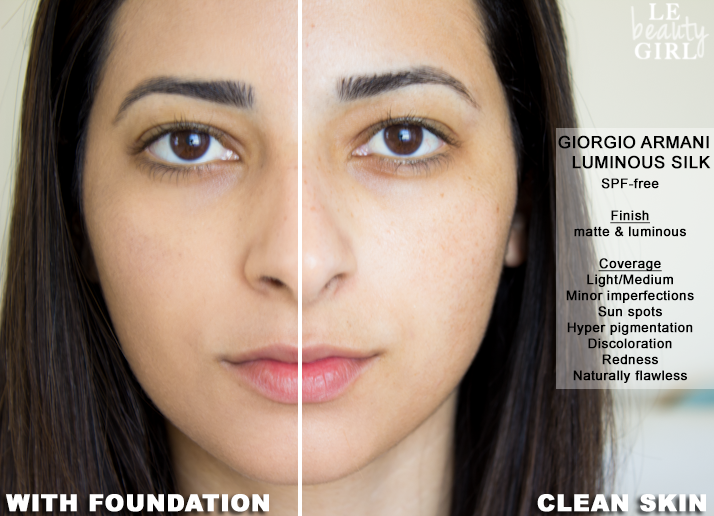 you youtube comparsion between nars sheer glow and giorgio armani shows you are wearing 3.5 shade in GA, but here you mentioned 5.5. Which one if your real shade? I just want to use yours as reference? Is it that much of a difference? 3.5 and 5.5. 3.5 is light or med to light? Bec I’m 5.75 and I needed a lighter shade for winter but was confused as to which one to order. My neck is definitely way more fair than my face in all seasons generally.